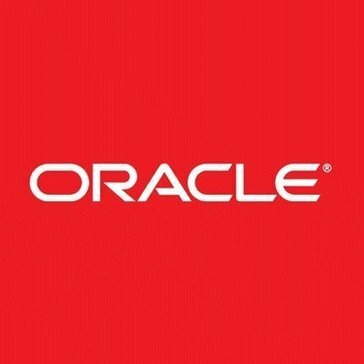 Work for Oracle Supply Chain Planning Cloud? Learning about Oracle Supply Chain Planning Cloud? "Best data collection software out there!" Great software and easy to use for data collection, planning, and execution and archival. Better than anything else I have ever used. Sorting and searching is not 100% the best, but oracle always makes improvements which is very nice. Look no further than Oracle for all of your data collection needs. Don't bother with the competitors out there because in all honesty there is no competition. You cannot beat the multiple uses that you will get out of this software. You will see that it will make you and your business so much more productive. This extra time you will save will make your company more profitable as you will now be able to complete more things in a timely manner. Data collection for my company has never been easier. I am able to generate forecasts, plan supply for work orders and manage inventory, and automatically reschedule supplies. This has freed up so much time for other things because it makes it so easy. It is an easy to use platform that you can modify to make your own. You can forecast your company's products/expenses which update in real time so you can see where you sit at a specific moment in time. Makes for a great tool if you need to cut costs before month end, for example. It's a platform like many others. Not sure if it offers much more than the standard supply and demand softwares. This is a good software to use if you are new to supply and demand forecasting. You may want to compare to other similar software if you are looking to dive deeper into tracking. Uses charts to easily see the comparisons of company use. It's a great forecasting tool to see where your company is in it's expenses and cost management.You can easily predict the demand of your customer base with continually updating the supply chain. "The definitive solution to solve many business problems, is able to provide a broad vision "
"Great system and capable of modernize operation "
It needs time to plan because you need to study how this system fits the a certain industry just like the company where I work. Oracle supply panning is our best option and suits with our the industry but there are some factor need to take into consideration. Oracle sale and product management is a great product! It has features that we have not been able to find in other programs. Oracle provides a great tracking system that allows us to mainstream our production. This software does not have many updates, which can be a bit frustrating. The customer service is also difficult to navigate as well. We needed a database to hold all of our sales information that was cheap and effective. "Awesome tool for supply chain and planning"
Some of the tools are very detailed but they are very user friendly. The software makes planning simple - even inexperienced staff can learn how to use it very quickly. It is expensive and used by big corporations mostly. It makes planning fun, literally. I like that this program helps to ensure a smooth running flow in a companies sales and operations process. This product is pretty good, I have not had any problems with it. it helps keep the team updated with out sending out multiple emails. it is all on one data base. How well the software functions and how the recent updates have made the POS software has made the check out experience more swifter. No recent dislikes as of yet but before the update there were some slight freezing as times. Great software when it comes to operation and the sales and how vastly and smoothly it’s running. "Best Demand Management Platform when there is huge uncertainty in your business"
Its ability to analyze the customer demand is what that we like the most. it has however not been able to respond quickly to the continuously changing market conditions. its superior quality of statistics has helped us to be on top of our inventory. Not having to do as many spreadsheets on a daily basis. The program could go a little faster.I feel a little more training is needed but should be swiff not lengthy. Planning, budgeting and sales forecasting and reduce the need to do as many spreadsheets thru program cinnect to the Cloud. Supply chain planning for department can all be done with Oracle Supply Planning. * We monitor all Oracle Supply Chain Planning Cloud reviews to prevent fraudulent reviews and keep review quality high. We do not post reviews by company employees or direct competitors. Validated reviews require the user to submit a screenshot of the product containing their user ID, in order to verify a user is an actual user of the product. Hi there! Are you looking to implement a solution like Oracle Supply Chain Planning Cloud?